Is someone you love having a baby? 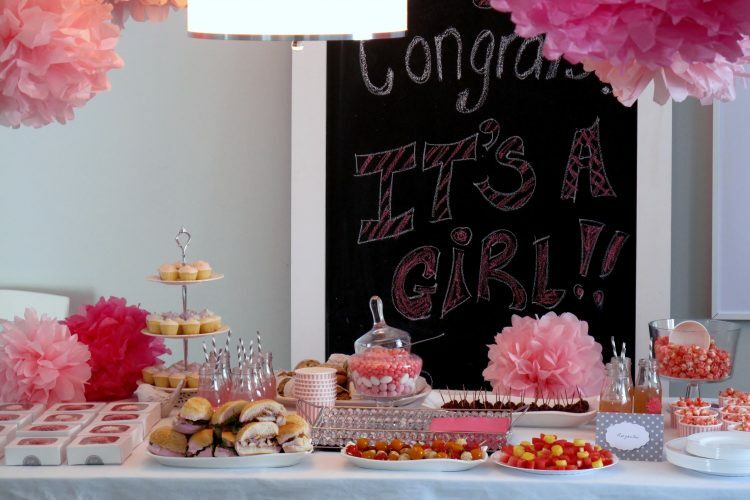 If you’re planning on hosting the baby shower, you don’t have to spend a ton of money to have a memorable shower. When you have the shower matters. If your guests will be at the shower during a meal time, they’ll expect to eat a meal. Preparing a whole meal can really add to the cost. Instead, host the shower at a different time of day. Then feed your guests with a snack bar or a dessert bar. Food for these options are a lot cheaper, and tons of fun. Making the food for the shower will save a lot of money compared to paying for catering. Pick inexpensive options like a cracker and cheese tray, a frost your own cupcake bar, or colored popcorn served in paper cones. Be sure to check for coupons to see if you can save even more money. Buying in bulk is also a good way to save on food for a crowd. No matter what you’re serving, take time to present it in an eye appealing manner. Since we eat with our eyes first, it’ll help everything taste delicious! Take your iRazoo points and trade them in for a Walmart or Amazon.com gift card. You can purchase the supplies you need at either of those stores, without taking a huge hit to your regular household budget. To save on decorations, also consider items that can be found on clearance during certain times of the year. If you’re hosting a winter shower, stock up on snowflake decorations after Christmas when the prices are low. Pick up white lights to add a cute glow. A spring shower can find special decorations after Easter. You can find a ton of fall decorations on clearance after Halloween. Plan ahead, and take advantage of these savings. Try not to spend money renting a facility to host the shower in. Instead, open up your home or backyard, or arrange to use the home of a close relative or another friend of the expecting mama. Try to pick a place that’s centrally located to make it easy for everyone to reach. You also can make use of a public facility like a park. Just be sure to read the requirements carefully in case you need a permit. If you’d like more ideas, Pinterest is full of inexpensive baby shower games. Save some money on stamps and stationary by using digital invitations. Create a nice email with all the details, and send it out to your guests. You also can create a Facebook event, but take the time to send a personal email as well. If someone doesn’t have an email, print out a nice note and send it the old fashioned way. You won’t likely need too many of these, so your total costs for invitations will be much lower. How do you save money on showers? If you’ve thrown a baby shower on a budget, we’d love for you to share your best tips over on our iRazoo Facebook page.